As boatbuilders faced a near collapse of manufacturing during the economic downturn, some thought outside the box to find new revenue streams. Last April, Cobalt Boats launched its fiberglass component department specifically to generate new manufacturing business from non- marine industries. Although it might have seemed like a novel idea, the reasoning was sound, according to Bret Chilcott, a Cobalt employee for 13 years who was tagged to manage the new department. "There&apos;s no reason for boatbuilders not to consider manufacturing fiberglass components outside their niche industry to diversify their production," says Chilcott, who had been in charge of engineering and product development. "This will help to smooth out the cyclical nature of the upturns and downturns that are so much a part of the boatbuilding industry." Chilcott&apos;s key duty was new business development and he immediately went looking for potential projects. One that came to fruition for Neodesha, Kan.-based Cobalt was making fiberglass water slides. Production was ramping up in late January and the company was expanding its manufacturing facilities to accommodate the new business. The open-molding fiberglass processes used to produce the water slides represented a perfect fit for Cobalt&apos;s existing manufacturing capabilities. But Chilcott was also bringing in potential orders for wind turbine blades, products made with fire-retardant resins, and even sides of buses. These didn&apos;t fit Cobalt because of the complexities of the composites or engineering, the laminate schedule or the size of the parts, Chilcott says. Last October, the boating executive turned to entrepreneurship, with Cobalt&apos;s blessings. He started First Source Composites LLC, a Neodesha company that specializes in matching buyers of fiberglass parts with the specialized laminators needed to produce them, acting as a sort of broker between buyer and seller. "I left to pursue the development of this new business because I felt there was a tremendous opportunity for synergy between laminators who can build small parts in a cost-effective manner and large manufacturers that need these small parts and can&apos;t build them as efficiently," Chilcott says. 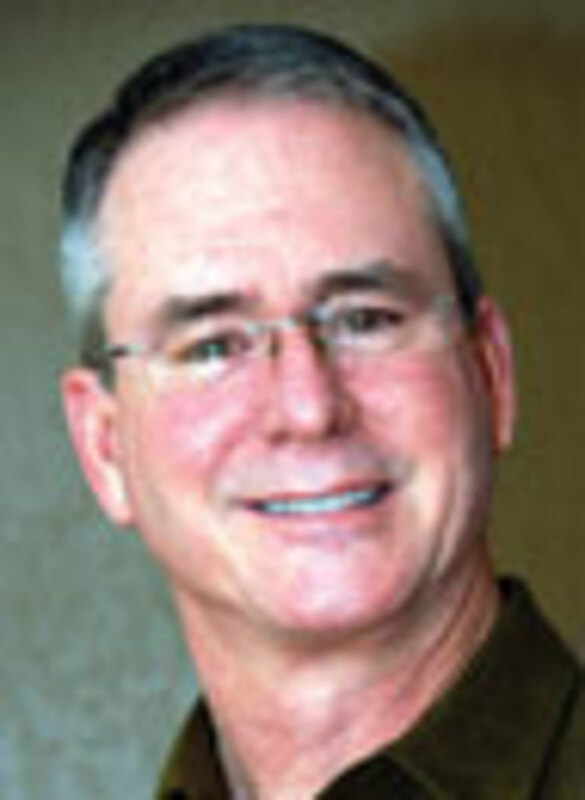 Chilcott, now president of First Source Composites, rounded up six laminators in Missouri, Oklahoma and Kansas to produce parts for customers in the wind energy, mass transportation and aviation industries, to name a few. Founding the company didn&apos;t mean Chilcott was abandoning the marine industry, but it did mean that he was branching off in a big way. Reinventing yourself is a challenge, says Chilcott, 51, but he sees ample opportunities this year. Shortly after going off on his own he matched a wind energy company that needed nacelles, or housings, for its turbines with ATC Truck Covers Inc., a composite fabricator in Garnett, Kan. The tooling for the nacelles was completed in early December and they are in production, ATC president Bobby Combs says. Founded in 1994, ATC&apos;s core business has always been the fabrication of fiberglass camper shells and bed lids for pickup trucks. When the automotive industry tanked, along with boatbuilding, during the recession - annual new U.S. vehicle sales plunged from 16 million prior to the downturn to 10.6 million in 2009 - Combs, 50, says the company was forced to diversify to make up for lost revenue. During the last year, ATC began to make replacement bumpers for Freightliner Columbia semi trucks and replacement fenders for Harley-Davidson motorcycles. It also has been producing water slides. When Chilcott approached Combs in late November to ask whether he wanted to take on new business, Combs liked what he heard. "I thought the idea behind First Source made a lot of sense," Combs says. "There are a lot of composite manufacturers out there that may not have the savvy in sales outside their particular niche, but they do have a need for someone to bring in a product that they could make which they might not have considered before." Combs says the nacelle production was the first new business First Source Composites brought to ATC. Other projects in the works include fiberglass components for the mass transportation industry and even small fiberglass parts for golf course mowers. First Source&apos;s allied companies offer a variety of capabilities in fiberglass fabrication, but are primarily focused on the closed-cavity bag molding process to make small fiberglass parts for numerous applications. The process is essentially vacuum bagging, with certain variations in terms of the materials used for the mold backings (flexible rubber or steel, for example). It&apos;s a cost-effective and efficient way to make smaller fiberglass parts that have a smooth finish on the front and back. The parts are also generally lighter and stronger than those produced with open-molding processes, which aren&apos;t as efficient for making smaller fiberglass parts, especially on a smaller production scale. "We&apos;re very efficient at manufacturing products with the closed-molding process, which builds a stronger product with less labor that is more consistent from part to part than you can get with open-molding, spray-up processes," Combs says. In addition to non-marine industries, Chilcott says he&apos;s actively pursuing boatbuilders as key customers. He hopes to play matchmaker between them and the allied composite fabricators that are associated with First Source to produce fiberglass hatches, anchor locker lids, compartment covers and other small components for boats. "The idea is to provide a resource for manufacturers who need small composite parts with a place to go to get them, where they can come to us with the details and thereby be freed up to look at the bigger picture," Chilcott says. "Boatbuilders are geared toward making boats, not smaller fiberglass parts like compartment lids. Outsourcing that end of the production to fabricators that specialize in making small parts just makes good sense." Chilcott explains that in boatbuilding the emphasis is naturally on the big parts. 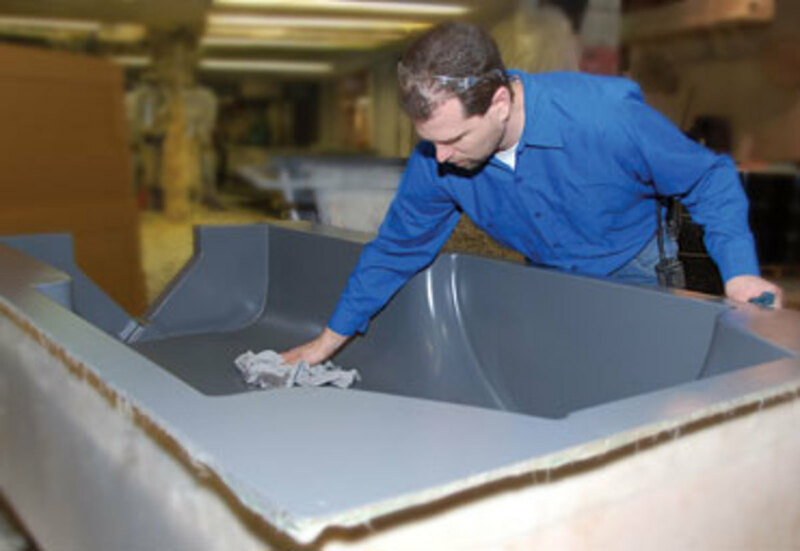 Boatbuilding facilities typically are not geared to mass-producing hatches and compartment lids. An open-molding process is generally used when those parts are needed. That&apos;s time-consuming and expensive. Enhanced efficiency and quality, and reduced labor and production costs account for why many manufacturers farm out the production of small fiberglass parts, Combs says. "If your experience is in manufacturing very large products, like a deck or a hull, it&apos;s a totally different world to spray into an open mold that big than it is to make a small fiberglass lid," Combs says. "We&apos;ll have 20 different products that all take the same closed-molding process, whether it&apos;s a bumper, fender or a hatch, so it&apos;s all a matter of an economy of scale. For us to add 10 hatches for a boatbuilder is easy and efficient." The First Source concept works because it&apos;s all about the right connection and the right fit, and not specifically about price, Combs says. He notes that on the nacelle project his company was close in price to the other bids, but that his tooling costs were a little bit higher. "The higher tooling price didn&apos;t concern the buyers," he says. "They liked the tooling approach because we were going to use the closed-molding process, as opposed to open molding. They knew that would produce a better part and that&apos;s what they wanted." Thinking outside the box - or the mold, so to speak - is what Chilcott believes in most. "The key to the business we are pursuing is to fulfill a need in a niche market that we don&apos;t feel has been adequately met before," he says. "It&apos;s all about innovation. It&apos;s all about finding a way to make a go of it in this difficult econonmy."